MELLA | CREATIVE RETAIL PACKAGING, INC.
Esthetician and salon owner April Bartlett saw an opportunity to reinvent a product that hadn’t been touched in decades. 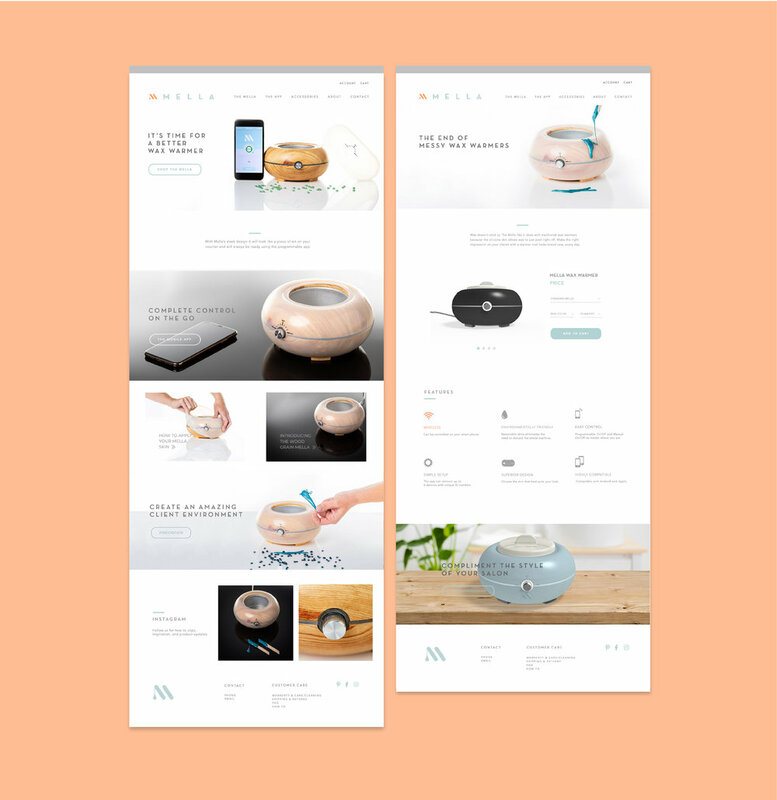 With a prototype in hand, she partnered with CRP to develop a brand for The Mella: a new generation wax warmer and mobile app for salons. Unlike the warmers of the past, The Mella features a sleek intelligent design; it’s easy to clean, customizable, and safer to use. The brand identity needed to convey these benefits quickly and concisely in order to educate and attract customers. 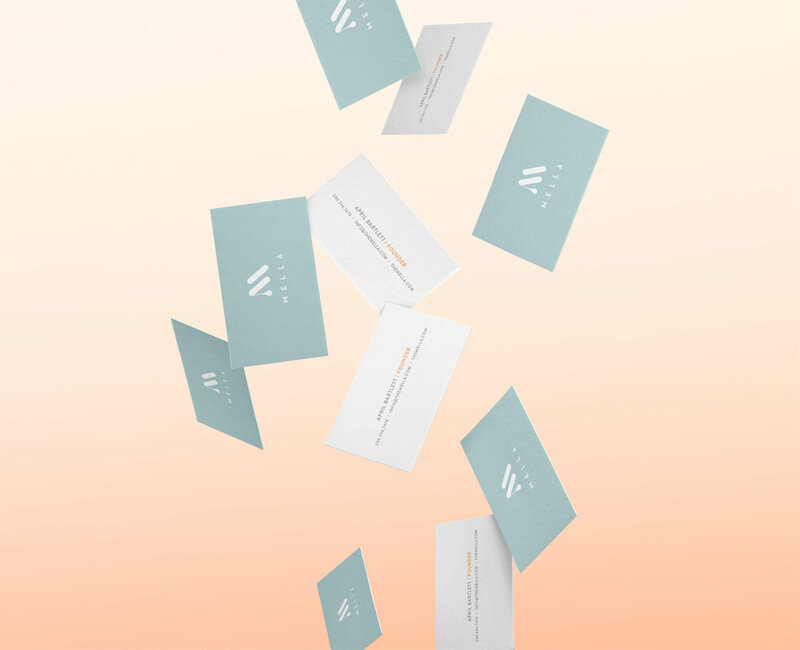 CRP brought her vision for a modern, sophisticated, and fresh brand to life through the creation of a brand identity from scratch. The primary logo features a clean and simple monogram, with a clever nod to melting wax. An optimistic color palette of pastel tones complements soothing salon and spa environments, while the cheeky tone of voice adds personality. The packaging offers an unparalleled unboxing experience, integrating structural and graphic design. Using a sleeve and tray construction, the packaging engages the customer in a quirky introduction through minimal graphics and tone of voice. Inside, the quick start guide is presented in a cleverly constructed topper, which protects the product housed below. We applied these core brand elements to the website, ensuring every touch-point feels cohesive and on-brand. The e-commerce site design hails the product as the hero with big beautiful product images and clean iconography to illustrate the features and benefits. The resulting brand, website, and custom packaging design work together to deliver on the mission — to spark innovation in the industry and set a new standard for salon and spa equipment.